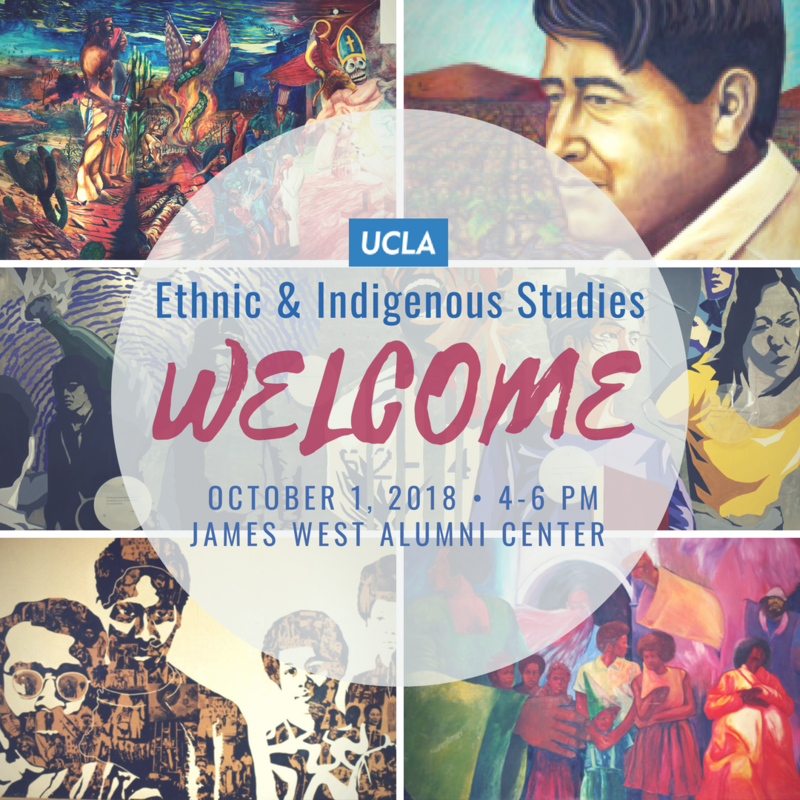 African American Studies, American Indian Studies, Asian American Studies, and Chicana/o Studies host the 2nd Ethnic and Indigenous Studies Welcome to be held on Monday, October 1, 2018, from 4:00PM-6:00PM at James West Alumni Center. Explore Ethnic and Indigenous Studies at UCLA. This event gathers ethnic and indigenous studies academic units, organized research units, affiliated identity student groups, and affiliated units together to welcome new students to campus. Join us for FREE food, music, and giveaways with fellow students, faculty, and staff. Learn how Ethnic and Indigenous Studies fits into your UCLA experience and beyond. Welcome new Bruins! We are #EthnicStudies.